Content Builder HTML is changed from table structure to div element in Referenced Content when edited. When using the 'Select All' feature in the Marketing Cloud folder permissions screen it only selects the first 25 Business Units. Marketing Cloud Calendar shows MobileConnect sends in GMT rather than the user specified time zone. In MobileConnect, when scheduling a message the wrong GMT timezone displayed is displayed for Georgia (Tbilisi). Tbilisi should be GMT+4, however Tbilisi is showing GMT+3 . 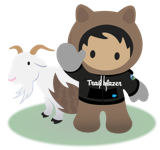 Marketing Cloud links with the greater than symbol (>) in the alias attribute cause exponentially growing number [Entity] tag insertions, which can cause issues loading/editing the email. When modifying the font size of a numbered list in the Content Builder Editor, the actual numbers do not respect the size change.